If you will listen to the sound of My voice, If you will hear My voice and obey My voice and follow ME, then you will have great success. For I will never lead you astray. I will never ensnare you. I will never harm you. I will never fail you. My voice will never lead you into darkness, but give you light. For MY WORD is lamp unto your feet, and a light unto your path. It is never dark or cloudy or insecure. Every step that I order for you is secure. It is a step of faith, says the LORD, but all of your steps will be upon the solid foundation of ME. You will not fall nor fail as you hear MY voice. I Am speaking. WILL YOU LISTEN and follow Me? You have run here and there to find your way and have frustrated yourself to discover My will and purpose and plan for you. Yet it is within you. It is My still small voice. I Am not hiding from you. I said that if you will come, I will not cast you out. If you seek Me, you will find ME. This is not available for a few, but for all who will come. My wisdom and counsel is deep within you, for that is where I reside. Quiet your thoughts before Me. Come and silence the voices of others and your own, and hear what I Am saying, for I do not cease to speak to you. I do not cease to welcome you to hear. Listen to My voice. You can know My precise will for your every step that I ordain for you life right now. For even as I said that I will never leave you nor forsake you, so it is with My Voice. 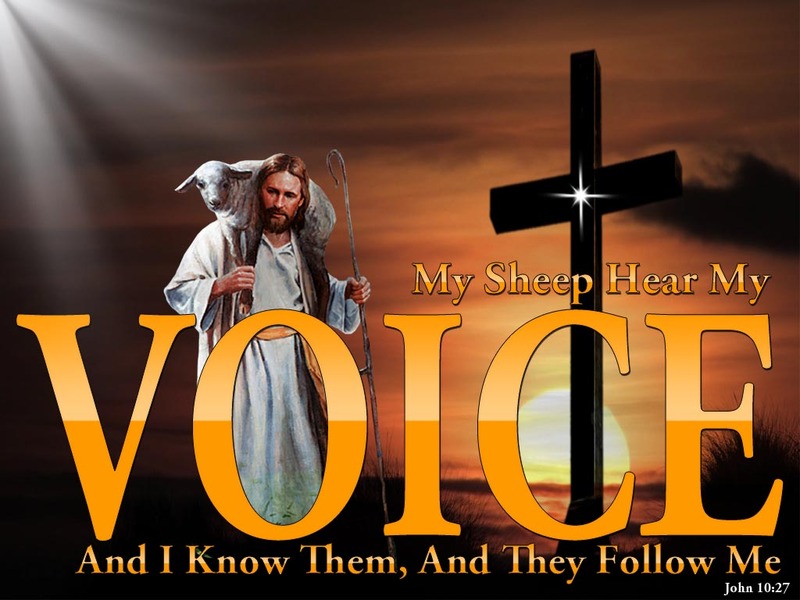 You are My sheep, and I said they will hear My voice and follow Me. My voice is speaking, says the LORD, and I call you to quiet confidence in Me this day as you choose to hear and obey and trust in Me at all times, says the LORD. It will tend to life that is abundant and free. It will lead you into the success that I have for you and bring you out of every trouble and give you abiding peace, says the LORD.